Three months have passed since my last post. Shame on me! It has been a fantastic few months for Charlie. 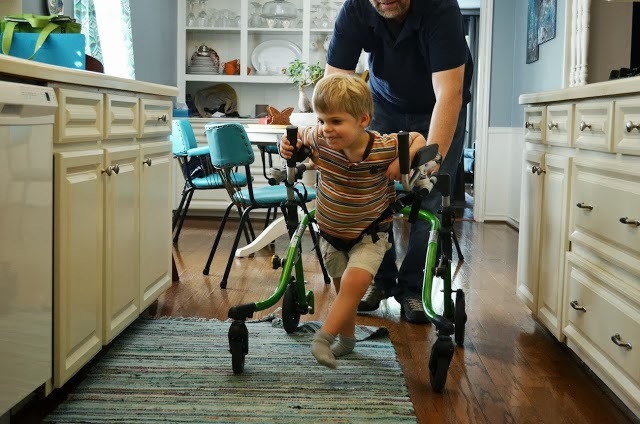 He has been scooting around on the floor in an army-style crawl for the past eight weeks and has even begun using a walker periodically. 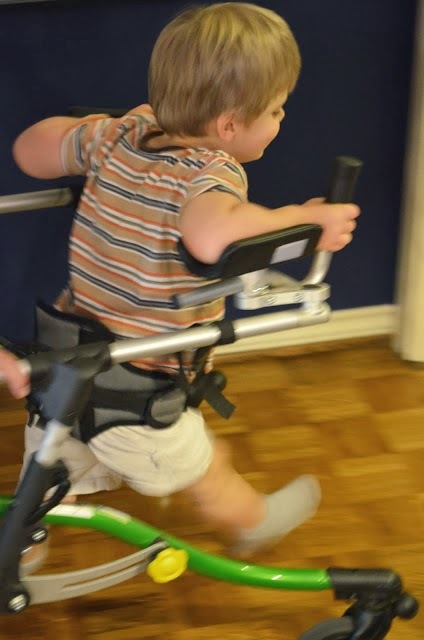 These two developments in Charlie's mobility have been nothing short of extraordinary. All he wants to do now is be on his feet and on the go. Can you blame him? 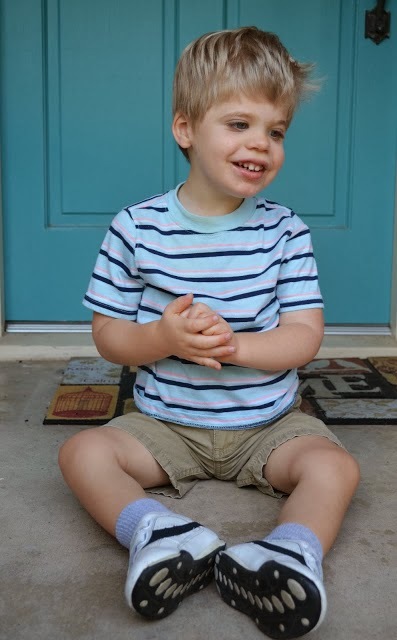 On August 4th, Charlie turned three and aged out of the Texas Early Childhood Intervention program. We had to say goodbye to our amazing physical therapist, Lori. She has been with Charlie since he was seven weeks old. We are now looking for a new PT who will come see Charlie at the house. Our service coordinator is helping us with that process. 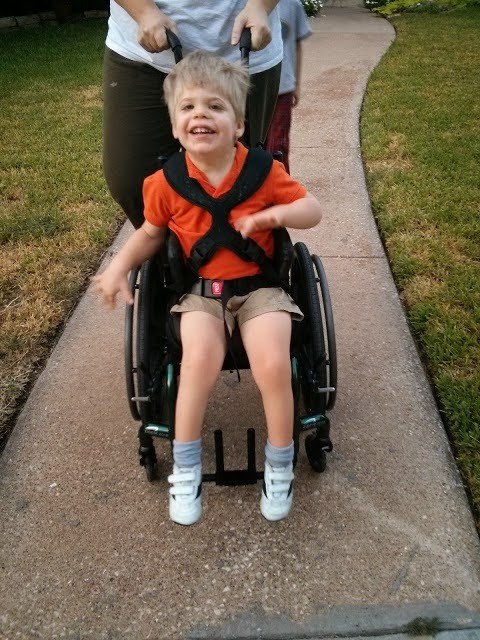 At the end of August, Charlie began his first year of preschool in a special needs program. He is one of 10 students in his class and so far, he's having a ball. The teachers and aids are outstanding and he is also receiving some physical, occupational and speech therapy in class as well. 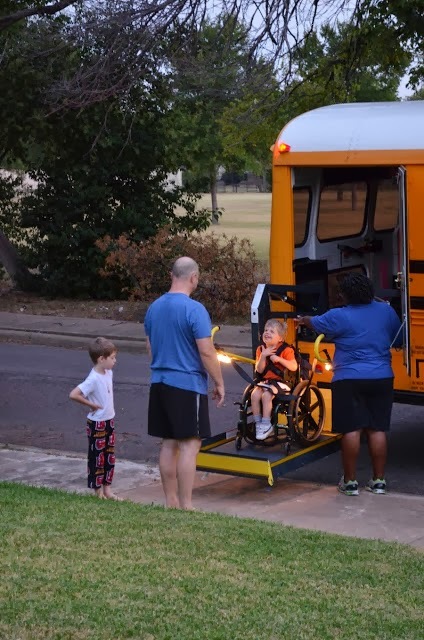 Charlie's favorite part about school is the bus, which picks him up and drops him off at our doorstep everyday. Here is a picture of Charlie on the first day of school. 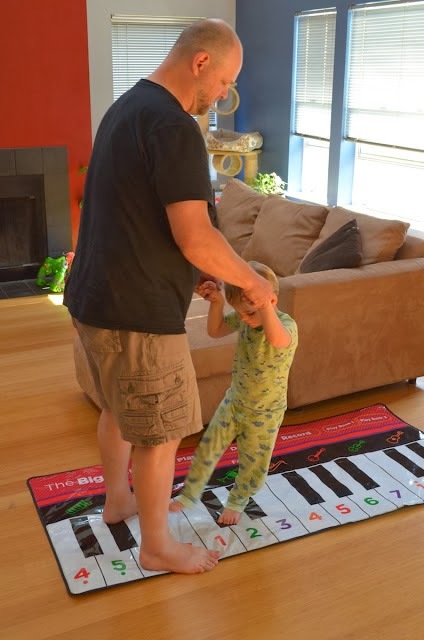 Since starting preschool, Charlie's language acquisition has improved dramatically. Before school he was able to say mama, dada, eat, more and yeah. In the past two weeks he has added the following words to his repertoire: apple, car, bear, bus, tickle, kids, school and Walker (his brother's name). His words are fractured and incomplete, but they are being used with enthusiasm and accuracy. We are, of course, over the moon about this new development. 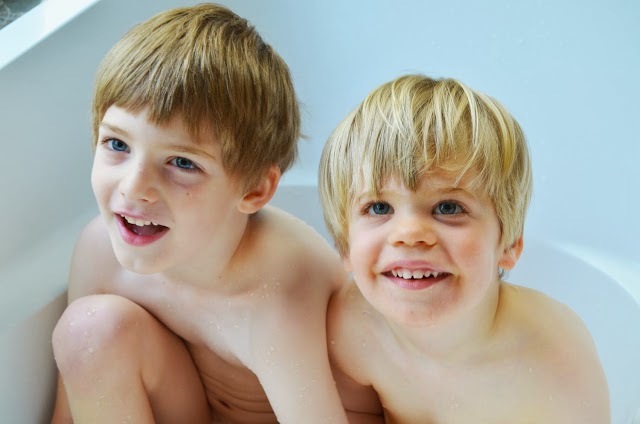 I'll close today's post with some impossibly cute photos of Charlie and his brother. As always, thank you for your support! He is just so precious and amazing! So glad he is enjoying his preschool program. It's hard to believe he is three already! Thank you Teri. I can't believe it either - three years! Thanks for your sweet note... Cheers! Lots of exciting changes happening at your house! Thanks for sharing the good news. It's an amazing time! I so enjoyed being with you earlier this month and continuing to learn to speak "Charlie"!